Classes are held in Edinburgh and Dunbar in East Lothian. We run group classes for puppies and dogs of all ages, starting from the very basics,progressing to advanced and tricks. We also offer 1-2-1 training, in your own home or on a walk. *NEW SERVICE* - we now offer a telephone consultation for new puppy owners. Just £15 for up to an hour of advice for all things puppy related. ​Teach your dog or puppy how to respond to your cues and develop good manners. 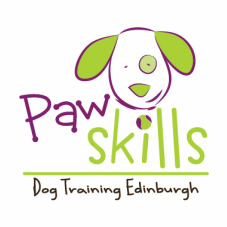 Our experienced, qualified trainers will teach you how to train your dog in a fun, positive way. We only use force-free, kind and scientifically-proven training methods. Edinburgh classes are held at the Currie Community Centre, EH14 5RU. Dunbar classes are held at Innerwick Village Hall.